To celebrate African-American History Month, Texas Tech University presents two lectures and a film screening throughout February as part of the African-American History Month Lecture Series. 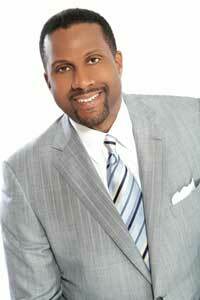 Tavis Smiley, a New York Times best-selling author and broadcaster, will discuss his book “Death of a King: The Real Story of Dr. Martin Luther King Jr.'s Final Year” at 7 p.m. Feb. 5 in the Helen DeVitt Jones Auditorium at the Museum of Texas Tech. The lecture series, in partnership with the International Film Series, will host a viewing of the documentary “Free Angela and All Political Prisoners” at 6 p.m. Feb. 10 at Alamo Drafthouse Cinema. Shola Lynch, the filmmaker, will attend and answer questions after the viewing. 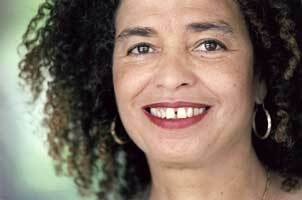 Angela Davis, a social activist and professor emerita at the University of California-Santa Cruz, will discuss mass incarceration in the United States at 7 p.m. Feb. 12. That lecture also will be held in the Helen DeVitt Jones Auditorium. The African-American History Month Lecture Series is sponsored by the Office of the President, the Office of the Provost and the Division of Institutional Diversity, Equity and Community Engagement. Since its inaugural event in February 2013, the series has brought five distinguished speakers to Texas Tech, including Henry Louis Gates, James McBride and Tricia Rose. Smiley hosts the late-night talk show “Tavis Smiley” on PBS, “The Tavis Smiley Show” for Public Radio International and “Tavis Talks,” the daily online radio program on the Tavis Smiley Network on BlogTalk Radio. He has written 16 books, his most recent being “Death of a King,” which was released in September. Davis most recently taught at the University of California-Santa Cruz where she now is distinguished professor emerita of history of consciousness and feminist studies. She has written nine books, including “Abolition Democracy” and “Are Prisons Obsolete?” During the 1970s, she spent 18 months in jail and on trial after being placed on the FBI's “10 Most Wanted List.” She is a founding member of Critical Resistance, a national organization dedicated to dismantling the prison industrial complex.